Neck pain is very commonly seen by chiropractors, and is so common that two thirds of the UK population will have experienced symptoms at some point in their lives. Although pain may only be present in the neck, symptoms may also develop into the head, arms or shoulders. Associated headaches are also very common. Neck pain may be caused by injury to the tissues of the neck, including the muscles, ligaments or tendons, the joints, or the vertebra (bones) themselves. Sometimes neck pain also manifests from problems lower down the spine as a compensation. Direct injury from falls or blows. Often the initial advice will be PRICE (protection, rest, ice, compression and elevation), but your ciropractor will be able to manage your condition appropriately and suggest imaging as appropriate. Whiplash style injuries. These may range from small jerks of the head through to road traffic incidents. The severity of such an injury and the length of time between injury and the appointment will often dictate the level to which chiropractic, massage or acupuncture might be able to help. Posture. or what’s known as ‘forward head carriage’. This is very common in office workers or heavy phone and tablet users. Overuse. Often people have habits which lead to turning the head more one way than the other. Underuse. Most people don’t move their necks through their full range of motion in daily life. Stress. Stress always adds extra tension through the shoulders because of the body being in a ‘fight or flight’ mode. Acupuncture and massage have both been shown to be useful in combating stress. Underlying health problems. Other problems can manifest as neck pain, although it is usually obvious to your chiropractor when this is the case. If your practitioner suspects that you have an underlying health problem causing your neck pain, you will be referred and managed with other health professionals in order to deal with this. 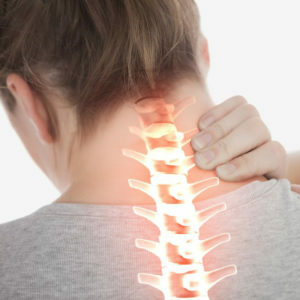 Can Chiropractic Treatments Help With Neck Pain? There is a large amount of evidence for chiropractic manipulation improving neck pain in patients, whether it is acute (pain for only a few weeks) or chronic (pain for longer periods). Sometimes, neck pain resolves on it’s own, but this is never a good reason to just leave your neck pain. There is always an underlying cause, which may need to be addressed. Your chiropractor will use various techniques at their disposal including manipulation, soft tissue release, traction and taping in order to treat your neck pain. Remember, the sooner you have your problem assessed and treated by an expert like a chiropractor, the sooner you are likely to recover from the pain and dysfunction and the less likely it is that your neck pain will become a chronic problem. What About Massage and Acupuncture For Neck Pain? Sports massage and acupuncture are both useful adjuncts to neck pain, especially if some of the soft tissues need to restore and heal more fully. Quite often, our chiropractors will see a patient initially, focusing on proper functional movement of the cervical spine (neck). Quite often, there will be some tension, stress and muscle shortening in the surrounding shoulders, and this responds well to sports massage therapy. Any inflammation in the area can also respond well to acupuncture. We often find that patients respond well to a combined approach, appropriate to their specific circumstances. Are There Any Neck Pain Exercises? Yes there are many exercises and stretches which help greatly with neck pain. In fact, a portion of the treatment with Relief Chiropractic always consists of some exercises to help with healing the area by promoting normal function. This also helps patients regain some of the control of their own health, which is always a good thing. However, you should never do these exercises before you are ready and without diagnosis. Some of them can do more harm then good if a patient tries them in a dysfunctional state of health. For this reason, always refrain from exercises until your chiropractor, massage therapist or acupuncturist has suggested that they would be of the maximum benefit. Neck pain is a common problem seen by our chiropractors, massage therapists and acupuncturists and can be due to all sorts of lifestyle factors and injuries. The earlier you are seen by someone, the quicker your recovery is likely to be. Neck pain is a frustrating condition but with proper management and treatment as well as some self directed exercises, most neck pain resolves within 2 months.